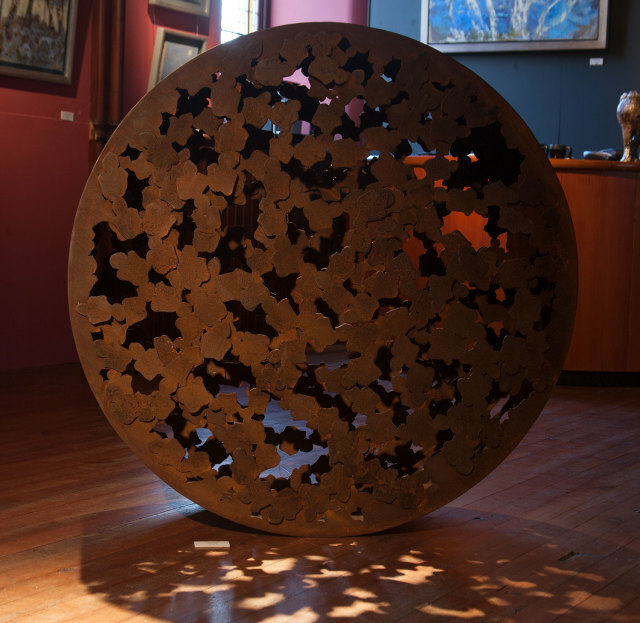 Andrea Geile’s large corten-steel sculptures are inspired by her research into botany and horticulture, uniquely combining the worlds of sculpture, architecture and plants. Manufactured steel by nature is hard and flat, but in Geile’s hands it becomes a soft, dendritic organism, letting light through the structure. The rusted patina of corten suggests organic processes of growth and decay, linked to the lifeblood of human beings. Geile often integrates her sculptures very subtly into the plant life on a particular site, investigating the relationships between nature’s design and our built environment. Andrea Geile was born and studied Visual Art in Hanover, Germany before moving to Edinburgh in 1996. She has received awards from the RSA, Chelsea Flower Show and held residencies in Orkney, Germany, France and Australia.